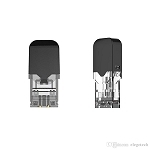 The Nord by SmokTech is a new button activated pod device. 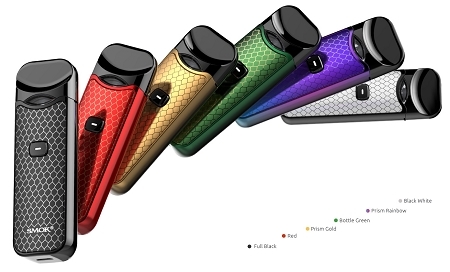 the Nord features an 1100 mAh internal battery, 3mL pod capacity, battery led, and utilizes two exclusive coils, the Nord Mesh 0.6 Ohm and Nord Regular 1.4 Ohm. The Nord Kit also allows for a maximum wattage of 15 watts, pass through charging and a newly designed mouthpiece. 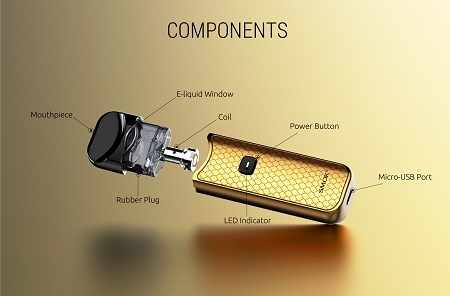 The Nord Kit by SmokTech is the perfect kit for on the go and discrete vaping. BY PURCHASING THIS PRODUCT, YOU ARE VERIFYING THAT YOU ARE AT LEAST 18. MUST BE 18 YEARS OF AGE OR OLDER TO ORDER FROM THIS WEBSITE __ THESE PRODUCTS CONTAIN NICOTINE, a poisonous and addictive substance. The products and accessories sold on this website are only intended for committed smokers of legal smoking age and not by non-smokers, children, women who are pregnant or may become pregnant or any person with an elevated risk of, or preexisting condition of, any medical condition which includes, but is not limited to, heart disease, diabetes, high blood pressure or asthma. If you experience any side effects or possible side effects, stop using the product immediately and consult a physician. Product may be poisonous if orally ingested. The electronic cigarette is not a smoking cessation product and has not been tested or guaranteed as such. For their protection, please keep out of reach of children and pets. Never use any charger other than the charger supplied with your kit! Improper charging could result in fire, injury, or death!